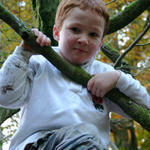 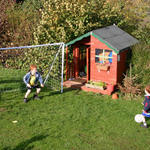 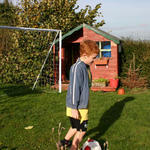 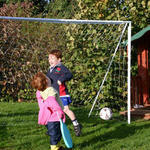 Oliver got a super new goal for him and Martin to play football in the garden. 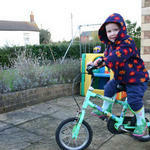 Catriona staked her claim to Olivers old bike. 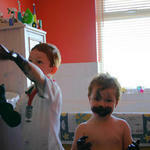 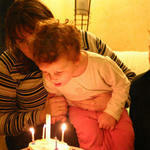 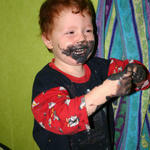 On Sunday morning, Oliver and Catriona painted themselves and the downstairs loo, Mummy and Daddy were so pleased! 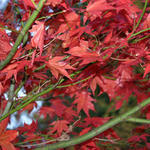 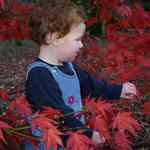 Westonbirt, as usual, never failed to impress with all the Autumn colours.